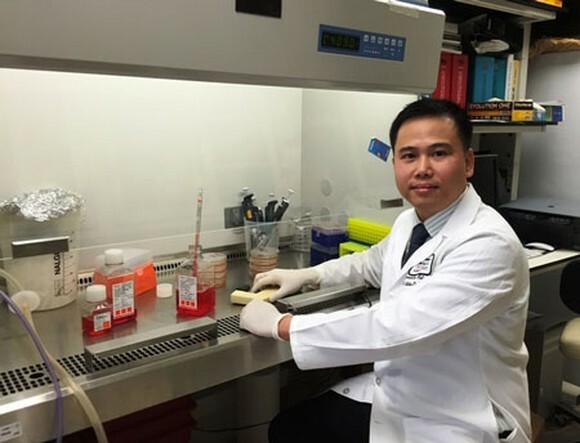 Being the first Vietnamese listed in the MD Anderson Cancer Center’s Wall of Honor Student for four times, Dr. Phan Minh Liem has introduced cancer prevention procedure and elimination of the fatal disease through his decoding of the cancer genome technique. Born in 1983 in a teachers’ family in Nha Trang beach city of the central province of Khanh Hoa , Liem had great passion for reading and conducting scientific experiment with support from his family when he was a little boy. He won the second prize of a national contest of French language. Subsequently, he was granted a scholarship by Soleil Francophone to study in France. 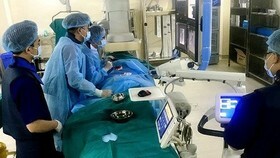 Just after one-year to study in France, he nurtured the desire to follow bio-technology study. In 2001, he passed the entrance examination to the Ho Chi Minh City University of Science where he majored in bio-technology. 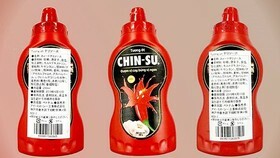 During his study, he used to take part in the university’s scientific activities. At third university year he was offered a scholarship by the Vietnam Foundation (VEF) to attend a Ph. D course in the US. Professors of the US National Academy of Science advised him to go to the MD Anderson Cancer Center for research on cancer. The choice marked a milestone in his life. Seven years later, he received the Master degree in Medicine at the age of 29 with 15 scientific researches on cancer he carried out together with his colleagues. At the age of 34, he has carried out 24 researches on cancer with other scientists in the University of Texas MD Anderson Cancer Center. Till now, he has been the first Vietnamese whose name has been listed in the Wall of Honor Student of the MD Anderson Cancer Center for four times. He has cherished the desire to bring decoding of the cancer genome technique back to Vietnam, However, his wish came true only when he met Chairman of Tram Huong Khanh Hoa Company (ATC) Nguyen Van Tuong at the program “Hai muoi nam thap lua” ( 20 years of lightening up a fire) organized by the Youth Communist Union in March, 2016. After a short conversation, the two men found that they had the same ideas of doing something for the fight against cancer and later they joined hands together in building a cancer screening center in the country. 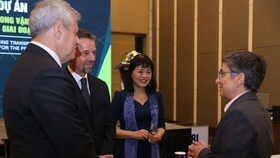 Reminding the cooperation with Dr. Liem in setting up the center, Mr. Tuong said that his company had planned building an international health center in combination with medical tourism where advanced treatment methods would be applied. This was the project of Village Hoa Binh Sang Tao (Creative Peace) in Nha Trang beach city. During working with MD Anderson Cancer Center Mr. Khanh with Dr. Liem. After having found out information of Vietnamese young cancer researcher, the Chairman has not hesitated to contact with Liem, expressing to turn his dream into reality and then the cancer screening center was established in the country after the meeting between the two men. However, they had to overcome the last hurdle. They had to persuade the MD Anderson Cancer Center to transfer technology and overcome legal barriers in the two nations. 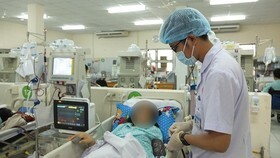 After many times of going to Vietnam for appraising ATC’s competence, professors of the US Cancer Center approved the transference of the exclusive technology to the cancer center. 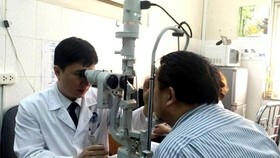 It was a real good start for better Vietnamese people’s living standards. For the query what motivates him to invest in the cancer center which takes a long time to take back his money, Mr. Tuong musingly said: “ Everyone in the country is fairly well off thanks to the government’s effort to reform. However, our quality of life is still lower than peers’ in other countries in the world, poorly affecting the value of life. That motivates us to surmount all barriers to set up the cancer center. Presently, information of the advanced technique benefit is increased to help people understand more”. 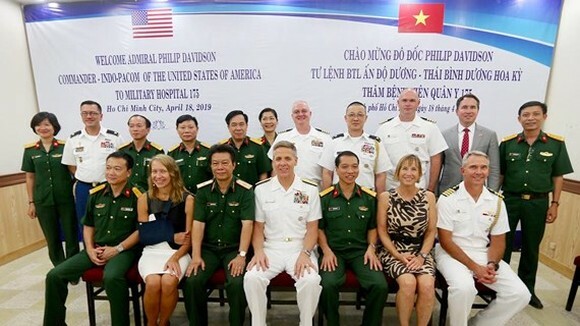 The Vietnam-US Biomedical Institute, the first of its kind in the country, was officially operated in July, 2018 presided by Dr. Phan Minh Liem.it is a breakthrough in Vietnam’s biology opening access to effective cancer treatment with the lowest cost. Dr. Liem said; “In each cell gene has anti-cancer genes, however, scientists have not fully understood these anti-cancer genes. While working in lab, I accidentally found these cancer cells strongly enhance absorbing the nutrition and energy metabolism when there was a hereditary mutation. The hereditary mutation is treated as a barrier blocking development. Based on the research, scientists can take 48-96 hours to kill cancerous cells. 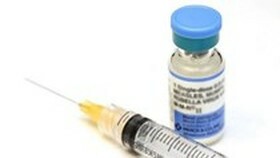 Annually, there are about 18 million new cases of cancer and the disease kills 8 million people globally. 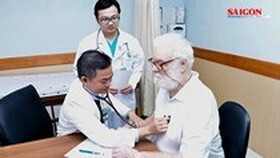 Vietnam is among countries with an average cancer rate and more than 150,000 fresh cases of cancer are reported in the country yearly. Worse, all cases are detected in the late stage; therefore, cancer mortality rate in the country is top of the world. The present decoding of the cancer genome technique can decode over 20,000 genes of cancerous and healthy cells to screen hereditary mutation which increase cancer risk and find out the best treatment for patients. Advanced gene decoding technology is leading upon the clinical effects in detecting and treating cancer in the early stage. 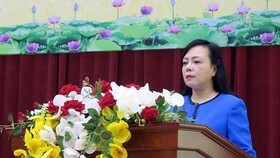 I hope that Vietnamese people can soon access to the advanced technology at the Vietnam – America cancer screening center so that they don’t spend lots of money travelling to other countries for medical treatment, said Dr. Liem.